Released at the World Horror Convention in 2006, Dark Arts Books’ debut title features three “new and used” stories each from four Chicago horror authors. 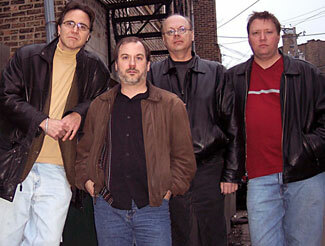 to Bill Breedlove and Martin Mundt, who each have received Honorable Mentions in the 2007 edition of YEAR’S BEST FANTASY & HORROR for their stories “Drowning in the Sea of Love” and “Babies Is Smart” from Candy in the Dumpster! 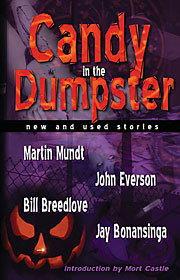 When you order a physical copy of Candy in the Dumpster, you can also get a free e-book version of the book. Click the Add To Cart button above and answer the question during the PayPal shopping cart checkout process and we’ll send the e-book version your way when we ship the paper copy!